What ever kind of party you are planning we can provide for every kind of party and help make it the party you want, whether a birthday party, anniversary party, Christmas party, works party or a party for party’s sake. Formal or informal with or without furniture, dance floor LED Star Light lining to cover the dance floor or the special area of your marquee to bring that special night sky effect into you marquee and give your party that extra little sparkle. If you are planning a party or celebration in any venue such as village hall, barn or your home we can supply you with tables, chairs, dance floors, party lighting including L E D colour changing up lighters with remote control, P A system with remote mic and mixing desk, plug in your Ipod or PC with your own play list on then you have No need for a DJ. We will be happy to discuss all these details and produce a detailed plan and competitive quotation for your party during our meeting. We can supply outside light to illuminate pathways, garden features, trees and buildings. Of course if you are not hiring a venue and have a garden it may be possible to put a marquee in your garden for your event contact us 01793 731616 for advice. We can supply, Beechwood chairs with ivory seat pad, Chivari Chairs with beige seat pads also white bistro chairs, bean bags, sofas and a selection of tables. 2 x 800 Watt Alto powered speakers and stands. 1 x Sure SM58s wired Microphone. 1x Alto 6 Channel mixing desk. Lead for connecting mixing desk to laptop, phone, tablet etc. 16′ x 16′ Black & White dance floor or Parquet dance floor. (Plus delivery and V A T). Great for informal home parties or parties in the barn or shed no DJ required, we plug it all in and set up lights and the dance floor, you just enjoy. 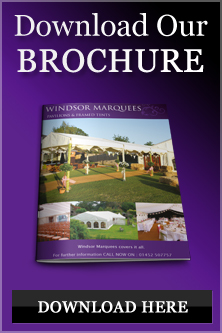 If you are looking for P A Hire in Gloucestershire or Party Hire in Gloucestershire then look no further please contact us info@regencymarquees.com Tel:01793 731616 for prices and availability.